So, March has been kind of an insane month for me. has been lacking in the worst possible way. I've barely been able to keep up. but I have SO many review books to get through as well. Here's hoping that I can actually keep up!! 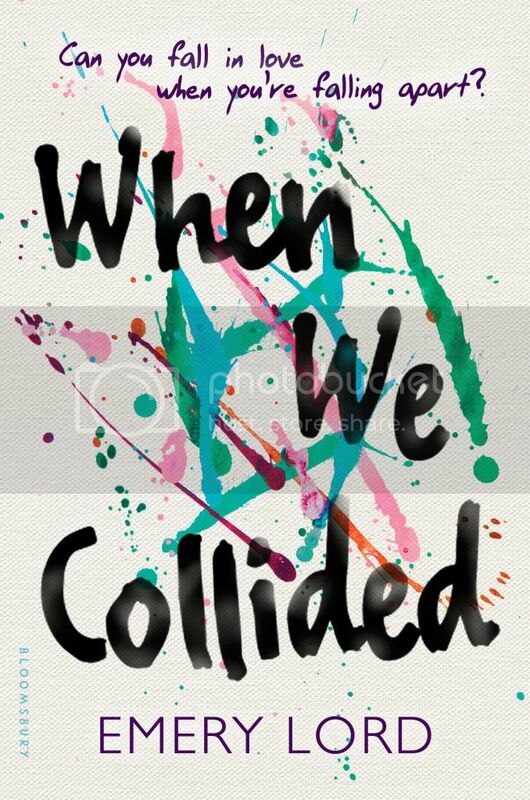 First, the cover for this book is GORGEOUS!! I seriously love everything about it. Second, the story sounds really, really awesome as well. I'm SO excited to read it come September!! 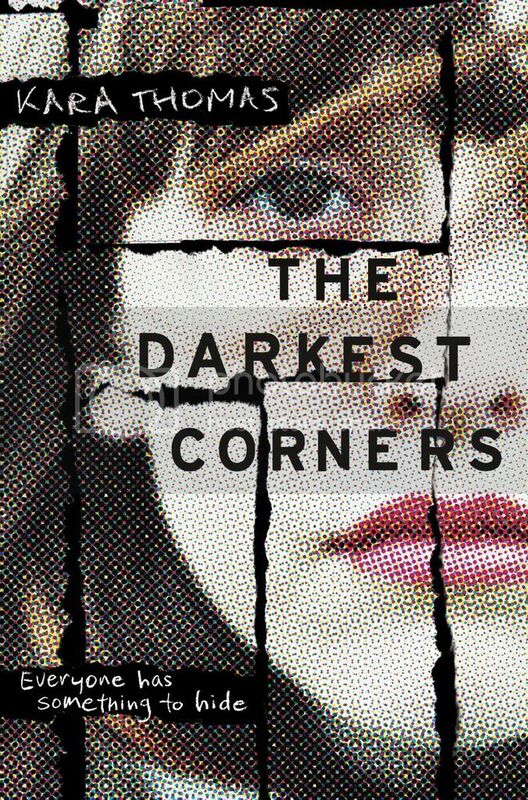 When I was first approached to read The Darkest Corners, I was definitely intrigued. I always love a good mystery, and I especially love them when they keep me guessing. I was hoping this one would do just that, because the story sounded awesome, and it did! When Tessa was nine years old, her and her best friend, Callie, testified to help put a serial killer in jail. But did they really see what happened that night? When another body turns up, killed in the same way as the previous ones, the girls start to question if the right person is behind bars or not, or if there is killer is still at large. Both Tessa and Callie have been through things that no child should ever have to go through. Having not seen each other for almost 10 years, their relationship was very strained when they first meet again, but before long they were working together to try to figure out what really happened. I really admired their determination throughout the story, even though they put themselves into some pretty dangerous situations more than a few times. Despite all they went through, these girls were very strong young ladies. The storyline for this book is very mysterious and secretive. The first half of the book was a bit slow paced, as it was a lot of information gathering, but the second half was full of mystery and secrets and SO MUCH who-done-it guessing on my part. I'm usually pretty good at figuring out mystery novels pretty early on, and while I guessed right on one thing, there were SO many things that I completely missed, or were slipped in where I didn't expect them at all. I love that it keep me guessing throughout, and to be quite honest, it made me a little paranoid as well! I will totally be double checking my doors and windows tonight. Overall; I really enjoyed The Darkest Corners, so much more than I expected to. Once I really got into the story, I absolutely could not put it down, and I love that it kept me guessing the whole time. Definitely check this out if you're into mystery reads! I'm definitely looking forward to reading more by this Kara Thomas in the future. 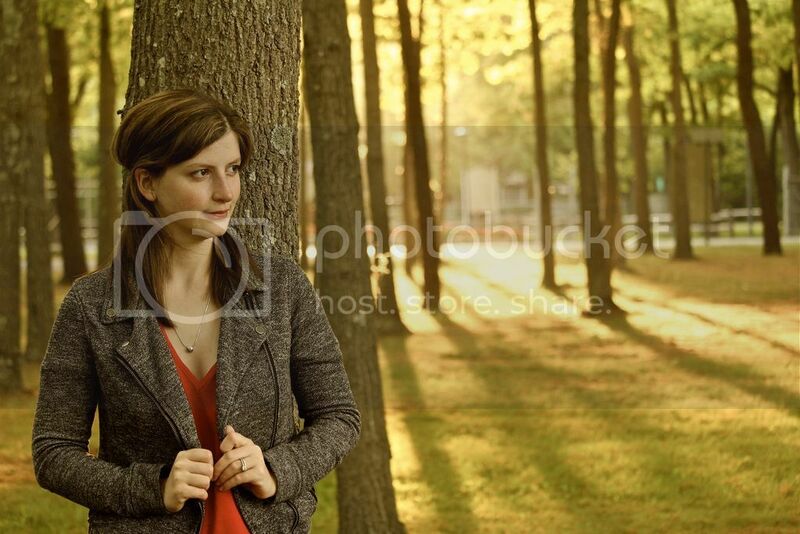 Kara is the author of THE DARKEST CORNERS, coming from Penguin Random House/Delacorte Press in Spring 2016. She also wrote the Prep School Confidential series (St. Martin’s Press) and the pilot The Revengers for the CW under the pen name Kara Taylor. She’s represented by Suzie Townsend of New Leaf Literary & Media. You can find her on Twitter, Instagram, or on the couch with her rescue cat, Felix. Don't forget to check out the rest of the stops on this blog tour!! 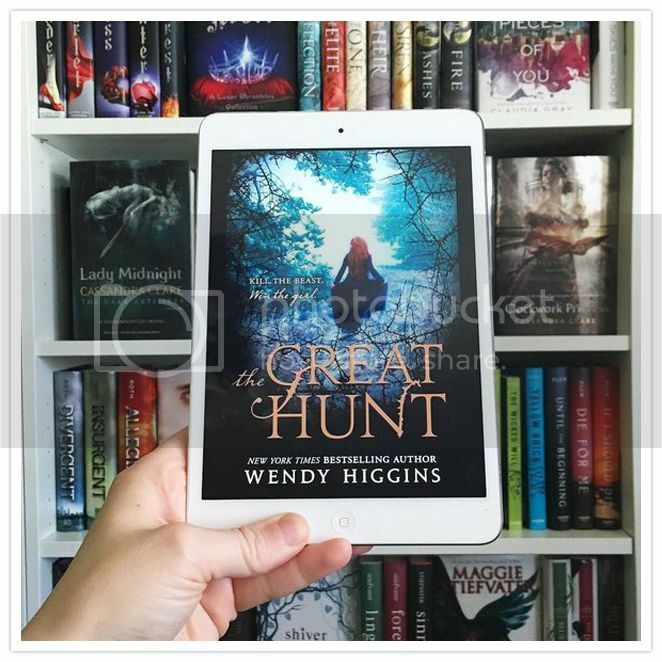 The Great Hunt is the very first book that I've ever read by the talented Wendy Higgins. I have been wanting to read something by her for forever, and I actually have her Sweet trilogy sitting on my shelf, just waiting for me to start it. 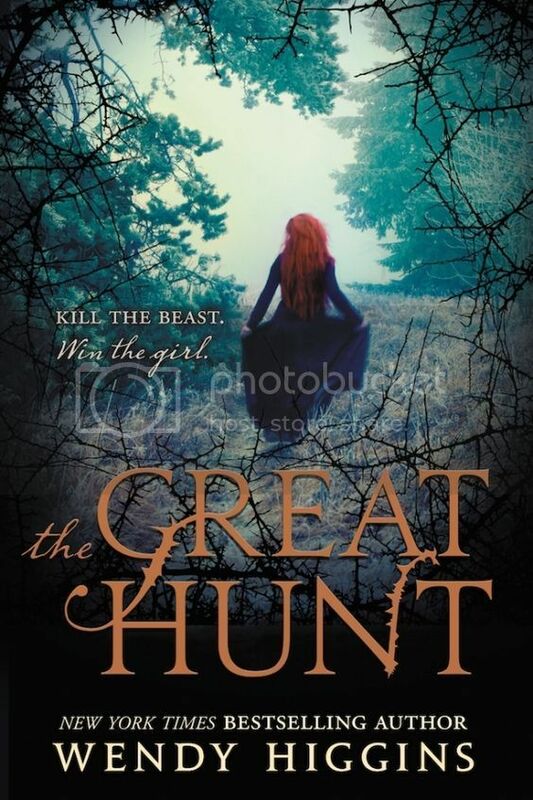 Now that I've read The Great Hunt and know how awesome her writing is, I'm really looking forward to reading more by her soon! There are so many characters that I love in this story. Aerity, princess of Lochlanach, was a wonderful princess. She was very much head-strong and determined, and willing to sacrifice her own happiness for her kingdom. Paxton was also very strong-willed, and was willing to do whatever he needed to do to keep his family safe and provided for. Aerity and Paxton didn't exactly get off to a great start, but once they did, they were a really great team. I loved both of these characters, and for so many different reasons. There were also a lot of secondary characters in the novel that I loved as well, like Aerity's cousin, Wyneth, and her sister, Vixie, and Paxton's brother, Tiern. They were all so well written! And with as many characters as you will love, the story also comes a few that you will grow to hate. Read the book so you can meet these characters, I dare you to. The storyline for the book was very creative. The idea that magic was illegal and that there were strange beasts terrorizing the kingdom definitely kept me entertained. 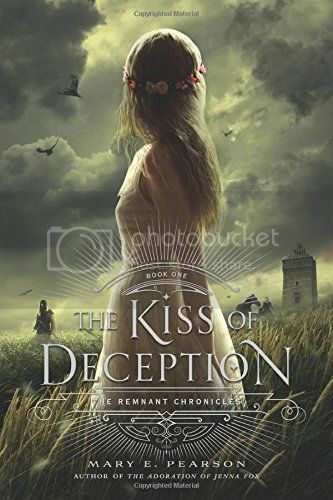 This story was inspired by the Grimm Brothers’ tale “The Singing Bone,” which I have not read, but having read this retelling, I definitely want to check out in the future, as well as some of their other tales. I'm definitely curious! Overall; The Great Hunt was a very entertaining read! 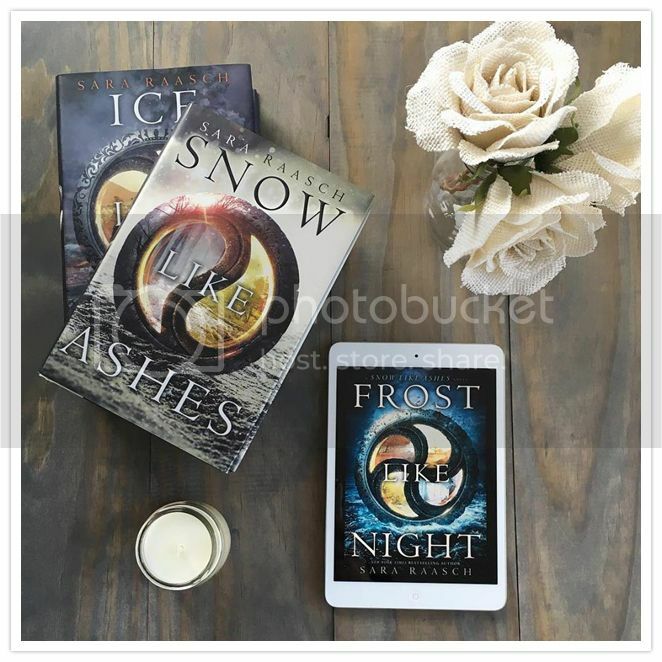 I enjoyed the characters and the storyline so much, and I'm anxiously awaiting the second book in this duology, which is currently unnamed, but due to release in 2017. I also can't wait to get started on Wendy's Sweet trilogy as well, and I hope it's great!! and I'm so in love with her stories!! 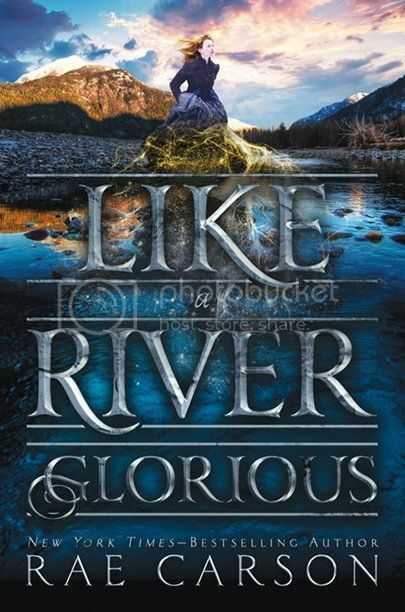 I added this book to my TBR and pre-ordered it as soon as I heard about it. 1. 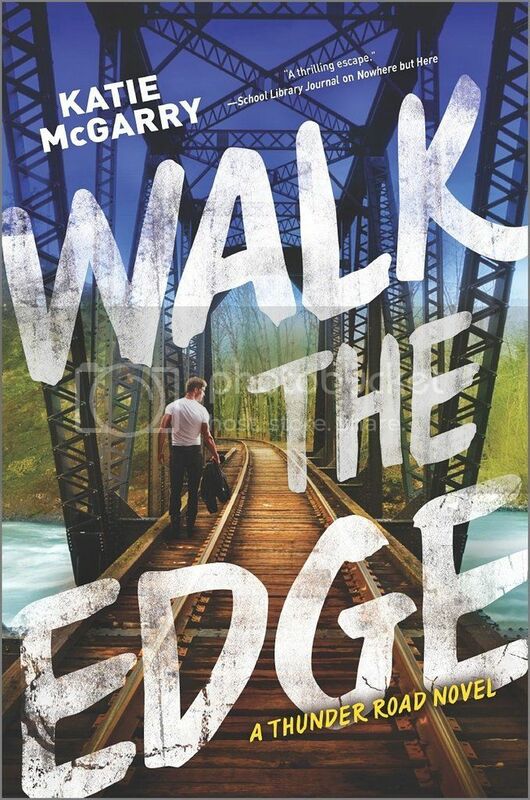 Walk the Edge by Katie McGarry - I love Katie McGarry, and I adore her new Thunder Road series!! I can't wait to continue the series with Walk the Edge, as I'm SO curious to read Razor's story. 2. 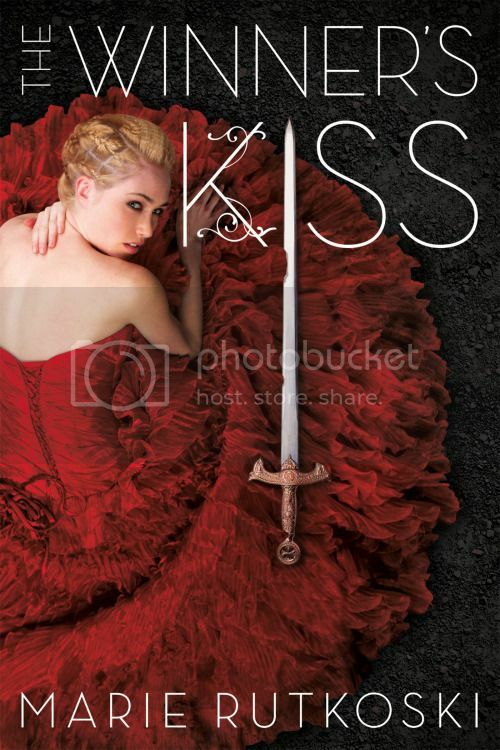 The Winner's Kiss by Marie Rutkoski - As much as I hate to see the Winner's Trilogy end, I'm super curious to see what happens for Kestrel and Arin. They've definitely had an interesting journey during this series! 3. 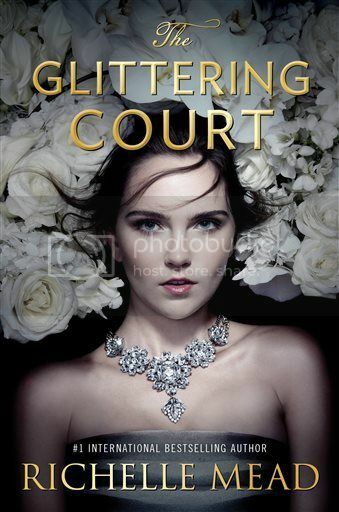 The Glittering Court by Richelle Mead - I'm always excited to read something new by a favorite author, and The Glittering Court sounds like it's going to be super interesting. I can't wait to read it!! 6. 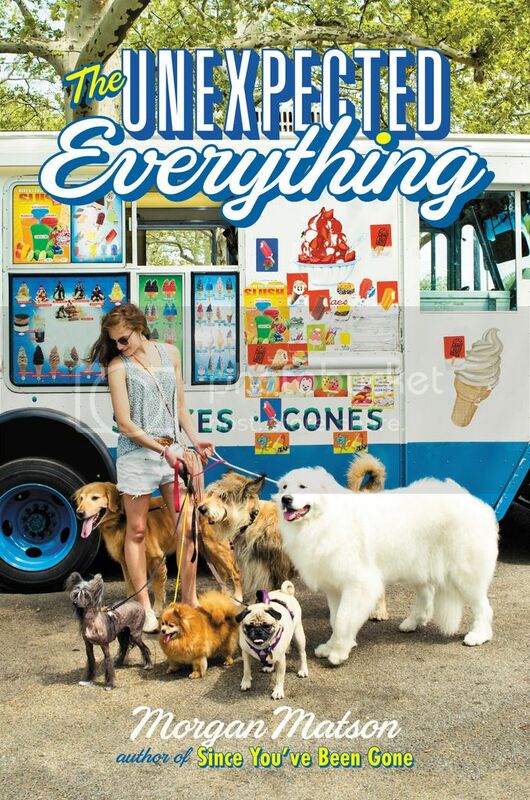 The Unexpected Everything by Morgan Matson - Again, this is another favorite author that I can't wait to read something new by!! I love the books I've read by Morgan so far, and I'm excited to start this new story as well. It sounds like fun, and the cover is awesome!! 7. 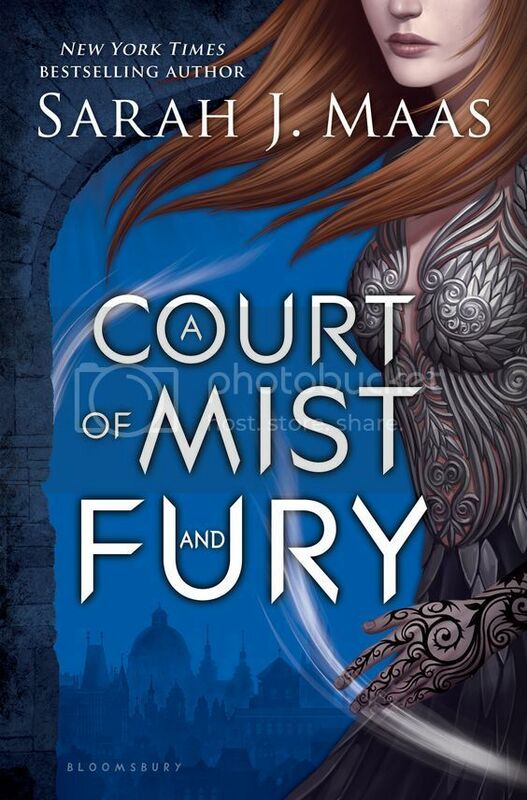 A Court of Mist and Fury by Sarah J. Maas- Seriously, who ISN'T waiting to read this book?? That's because we know it's going to be great! I really enjoyed A Court of Thorns and Roses, and I'm super excited to continue the story! 8. 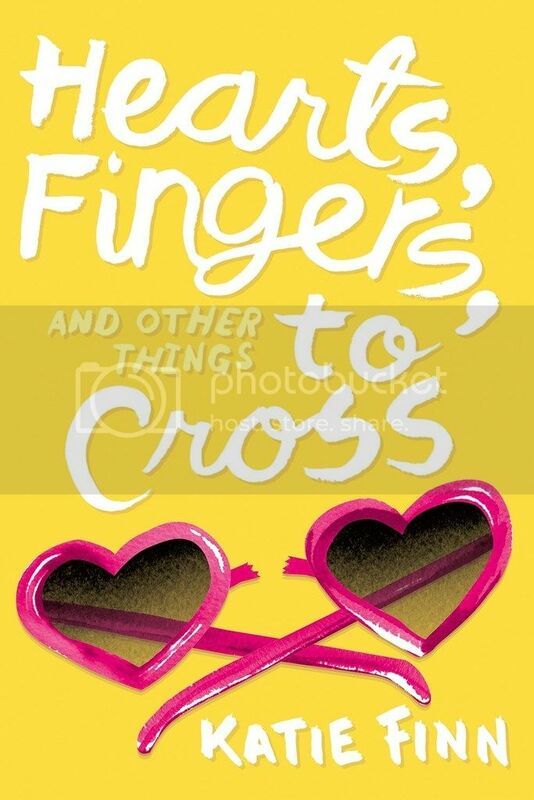 Hearts, Fingers, and Other Things to Cross by Katie Finn - Gah, I LOVED the first two books in the Broken Hearts & Revenge series, and I'm SO curious to know what's going to happen next. I'm not usually a fan of drama, but this series is full of it, and it's SO addictive!! 9. 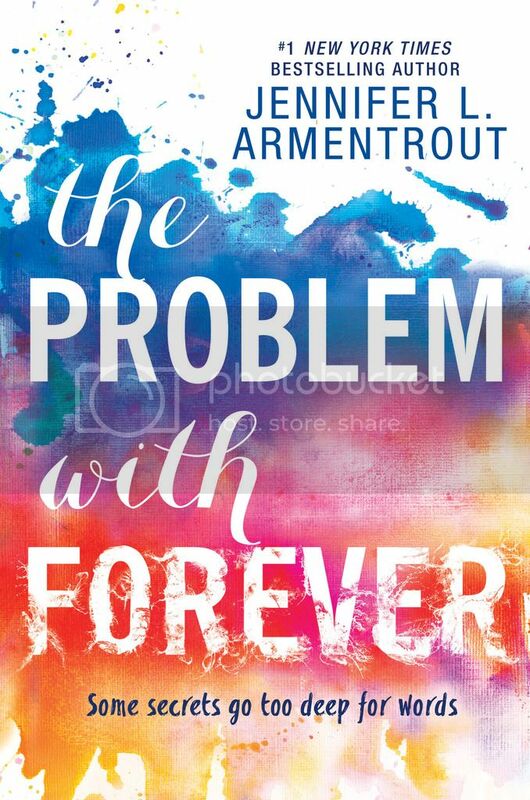 The Problem with Forever by Jennifer L. Armentrout - I've just recently become a fan of Armentrout's books, but I really, really enjoyed the books I've read by her so far, and I totally want to read more!! The Problem with Forever sounds great!! 10. 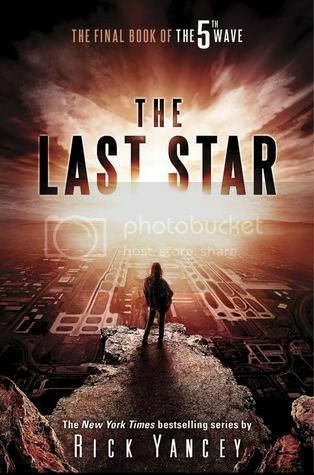 The Last Star by Rick Yancey - I absolutely can't wait to see how this series is going to end!! 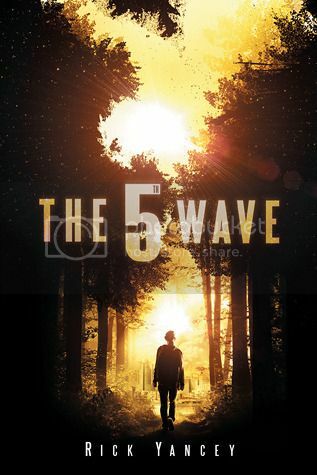 I really enjoyed The 5th Wave and The Infinite Sea, and I'm dying to know how it all comes together for Cassie and crew. These are just a few of the books I'm most excited to read this Spring!! 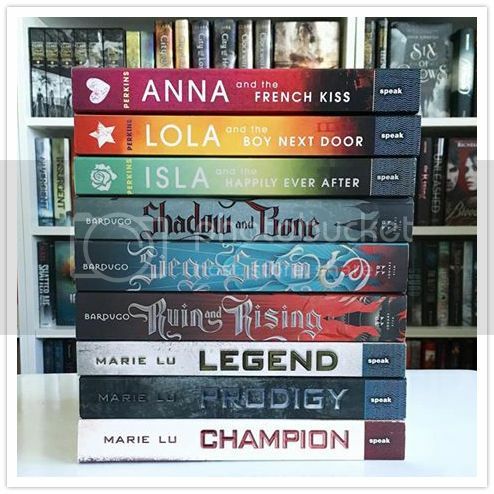 especially in May, and I totally want to read them ALL!! 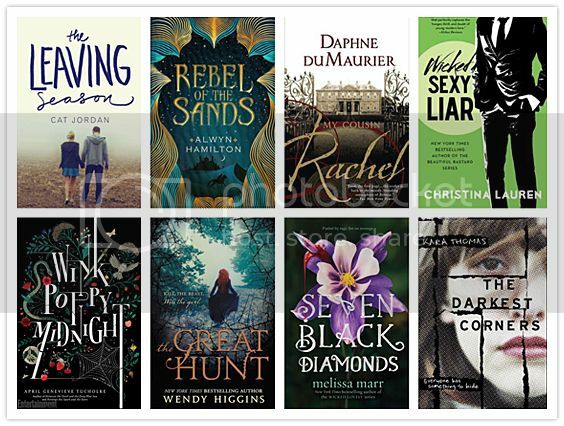 2016 has been a great year for books!! 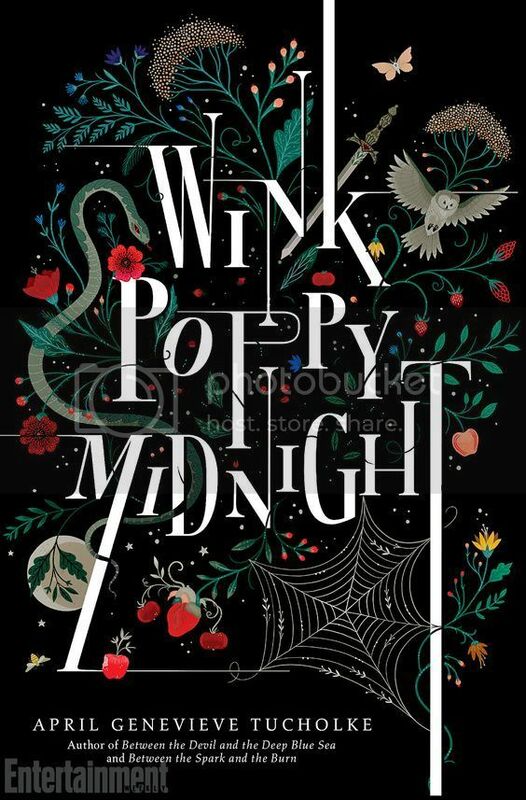 Wink Poppy Midnight is the first book I've read by April Genevieve Tucholke, although I've had her Between series on my to-be-read list for quite a while now. I was excited to finally read something by her, especially when it was recommended for fans of such novels as We Were Liars, The Raven Boys and The Unbecoming of Mara Dyer. The story is told from three different characters points of view; Wink, Poppy and Midnight. Each of these characters are interesting, and all for different reasons. Wink is the outcast, the freckled girl with the wild red hair, who lives on a farm with her huge family and who never lets it get to her when people try to bully her. Poppy is the popular girl, the girl who gets whatever she wants, whenever she wants, no matter what she has to do to get it. She's the bully of the story. And Midnight is the sweet boy who finds himself totally drawn to both Wink and Poppy for completely different reasons. The storyline for the book was quite interesting, and the writing was beautiful, and strange, and even lyrical at times. The story was very much addictive, as well as a very quick read; I flew through the pages. I love that it was super mysterious, and kept me guessing throughout. I had no idea if what I thought to be true was really true. The ending really caught me by surprise, as it was not what I expected at all! I love a book that can keep me guessing. 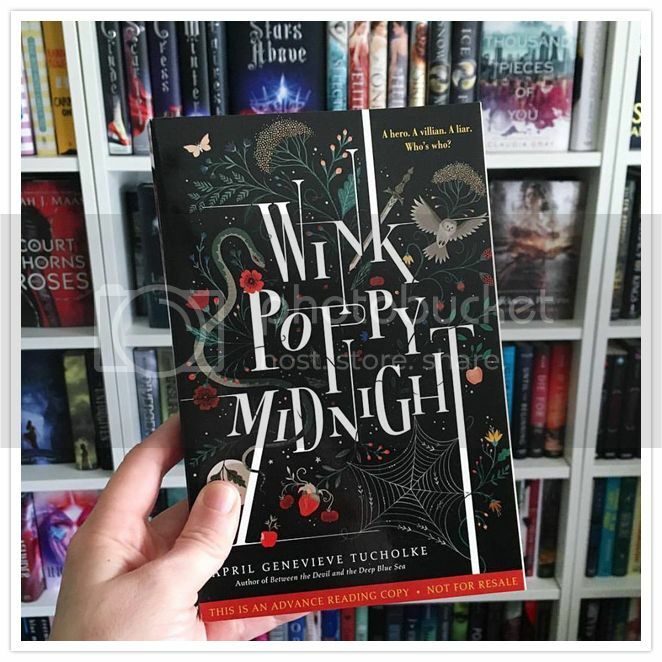 Overall; Wink Poppy Midnight was my first read by April Genevieve Tucholke, but it definitely won't be my last! Having enjoy this book so much, I'm really looking forward to reading some of her previous work now, and Between the Devil and the Deep Blue Sea is the first on my list to read, hopefully soon! Let's say you're writing a story of your own. Who would be your hero? Your villain? Your liar?? and leave a comment with your picks below!! because she's strong and awesome in so many ways. My villain would be President Snow from The Hunger Games. Because he's about as evil as they come. My liar would totally be Evan Walker from The 5th Wave. Now, enter below to win a copy of Wink Poppy Midnight & more for yourself! Don't forget to leave a comment with your choices as well. I'm dying to know who you'd pick!! and a mystery ARC from our Summer 2016 list!! 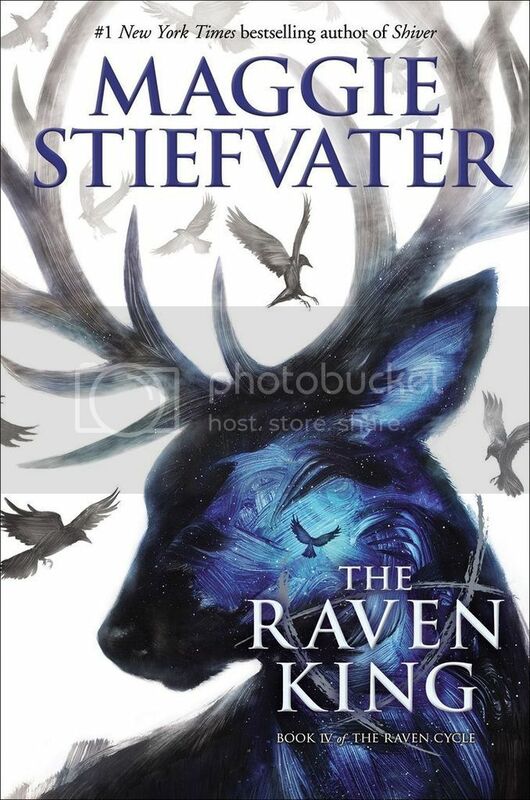 Ommmmmmmmmmmmmg, is this the most awesome cover, or what? and I'm dying to know what's going to happen next for Leah and friends. I can't wait to get back to this story!! 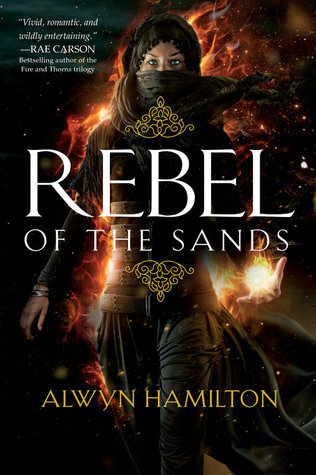 Rebel of the Sands is one of those books that you think you will want to read, so you add it to your already too long to-be-read list, and think that you may get to it one day, eventually. Then you start seeing reviews and tweets for how awesome the book is, and you just know that you MUST READ IT AS SOON AS POSSIBLE. Don't be the person who wants to wait to read this book. Be the person that MUST read it as soon as possibly can!! I'm so glad I did. There were seriously so many great characters in this book. There are some that you are going to absolutely love, including the main character, Amani, who is a badass sharpshooter who can nail any target with a pistol, and take care of herself when she needs to. And there's Jin, who single handedly changes Amani's world forever almost as soon as they meet, as well as his crew of friends who are awesome. I could go on and on about all the characters I love in this book, but I'd rather you read it and meet them yourself. And with the good, comes the bad. There are more than a few characters that you're going to really dislike as the story goes along, and unfortunately, a lot of them are related to poor Amani. What a tough life this girl has had, I found myself relating to her in so many ways throughout the story. I felt so bad for all that she had been through, but I loved watching her grow SO much as a character as the story went along. I honestly didn't know what to expect when I started reading Rebel of the Sands. The reviews that I read were pretty vague, and that's what I'm going to do with this review. I don't want to spoil anything for you, so I'm going to keep it simple. 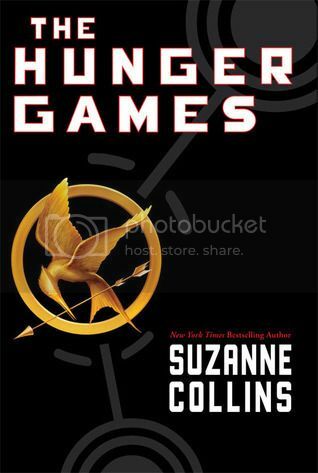 What I got from this novel was a completely addictive and entertaining story that had me flying through the pages. Not only were the characters awesome, but the storyline was completely captivating, and I was hooked from the very first page. Overall; I enjoyed Rebel of the Sands so very much. Not only was the book entertaining and captivating, it was also a really quick read. I do hope that you will check it out yourself and that you enjoy it just as much as I did. 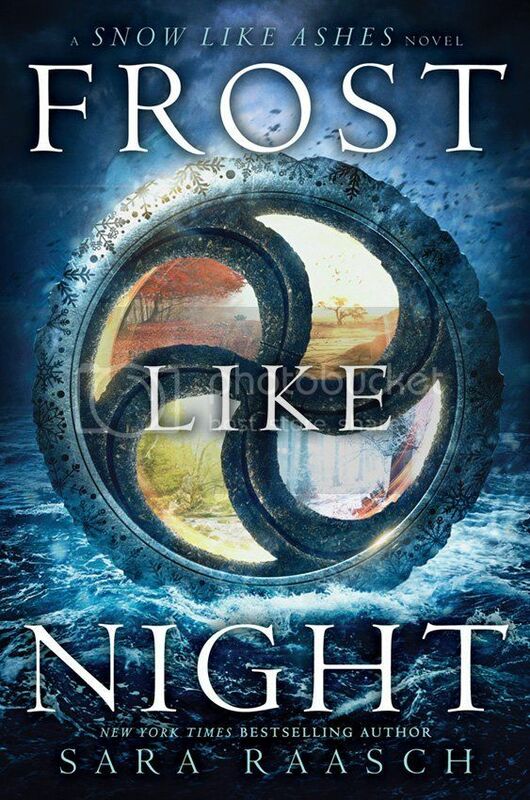 I can't wait to get my hands on the next book in the series, and I hope we don't have to wait too long to get it! 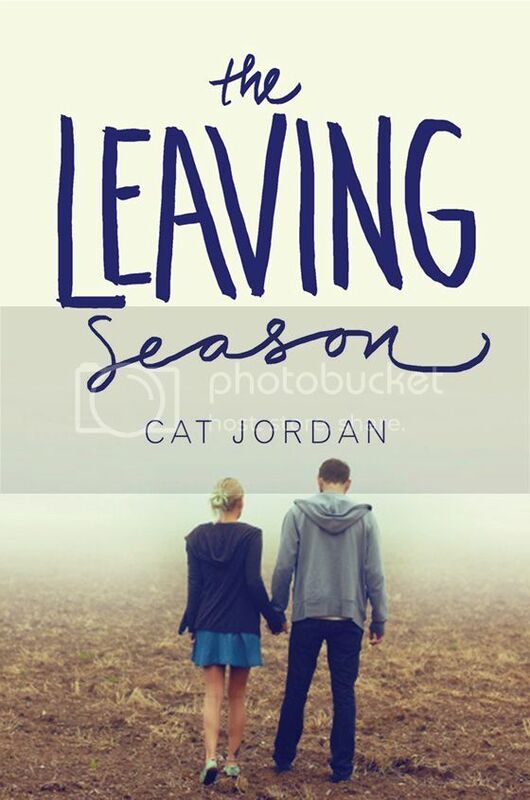 As soon as I discovered The Leaving Season by Cat Jordan, I knew it would be a book that I would want to read as soon as possible. The storyline sounded interesting, and contemporaries are my most favorite kinds of books. Seriously, I could totally read them all day long. And because of that, I really enjoyed this book. Meredith, known as Middie by her friends and loved ones, was an interesting main character. She pretty much had her whole life planned out -- finish school, go to college, marry the love of her life -- her future was completely mapped out in her mind, and she set her life goals around that. 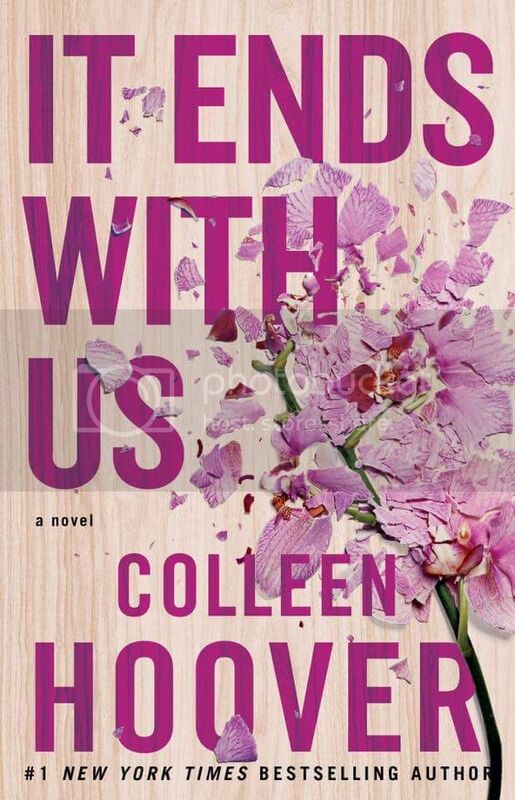 When tragedy strikes, and Meredith is forced to find a way to move on with her life, she doesn't think that she can. But she slowly starts to open up, and starts to see that there is more to the world than what she had planned. It was interesting to watch her grow and change into a young lady who could have any life she wanted and be whoever she wanted to be. When Meredith's world changes forever, there is only one person that completely understands what she's going through, and that's Lee. Lee was definitely the most interesting character in the story for me. He reminded me very much of Jess Mariano from the Gilmore Girls, and that's how exactly how I pictured Lee in the story. Just the way he acted and his mannerisms throughout the novel reminded me so much of Jess. So, yeah, I kind of loved Lee, like, a lot. He really made the story for me. 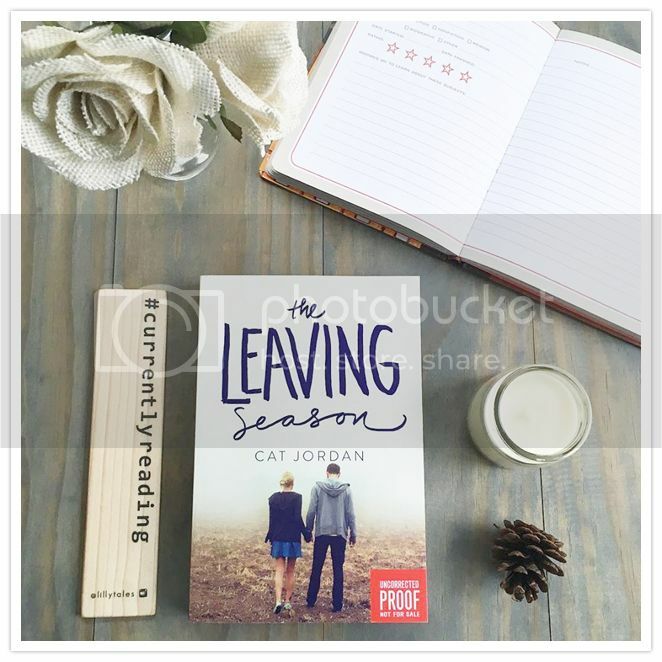 Overall; I really enjoyed reading The Leaving Season. I'll definitely be checking out more books by Cat Jordan in the future, and I've added her to my list of authors to keep an eye out for. I totally want to read more! 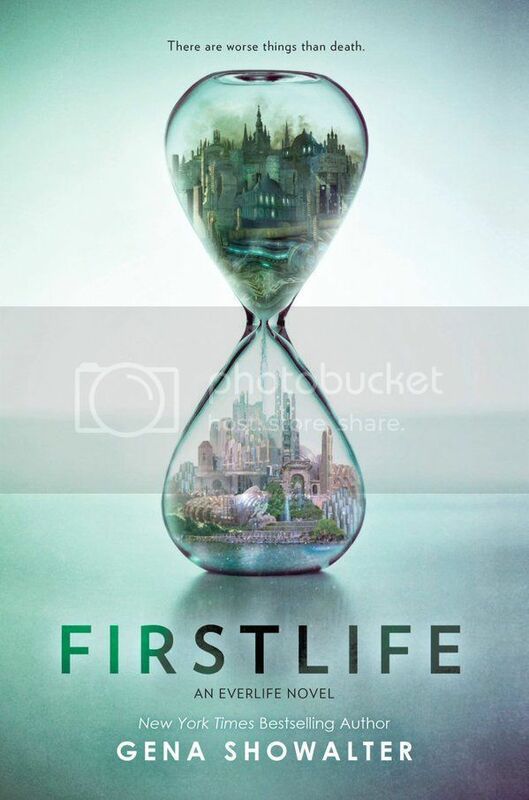 Afterlife is only the third book I've read so far by the talented Gena Showalter, and to be honest, based on how much I enjoyed the previous books I've read of hers, I was really looking forward to reading something new by her, especially since it was in the young adult genre. The main character in the story, Tenley Lockwood. When we first meet Ten, she's been locked away in an asylum for months, all because she wouldn't make a choice on where she would spend her afterlife. This asylum was more like a prison, doling out punishments meant to break a person so that they would change their mind and just make a choice already. This was an awful, horrid place, and my heart broke for Ten to see what all she had experienced during her time there. But that didn't stop her at all from being quite a badass. She was able to take care of herself and defend herself when needed, which, to be honest, was quite often. But she did what she had to do to survive, and you can't fault her for that. The only thing that drove me crazy about Ten was her indecisiveness throughout the story. Every time I would think that she'd made up her mind about something, something would happen and she would change it again. This was pretty frustrating, to say the least, but otherwise, she was a very strong-willed character. There's a bit of a love triangle in the story as well, one in which I chose a side pretty early on. Unfortunately, I don't believe my ship will sail the way I want it to, as it went the completely opposite direction in the story, but there's always hope for the next book! The storyline for the book was definitely creative, and felt very unique. I can't say that I've read anything like it before. The idea of having a second life after you die is interesting. There were a few parts in the novel that were a bit confusing at times, but after I went back and reread them, they made a bit more sense. The book ends with a pretty massive cliffhanger, and I'm super curious to know what's going to happen in the next book. 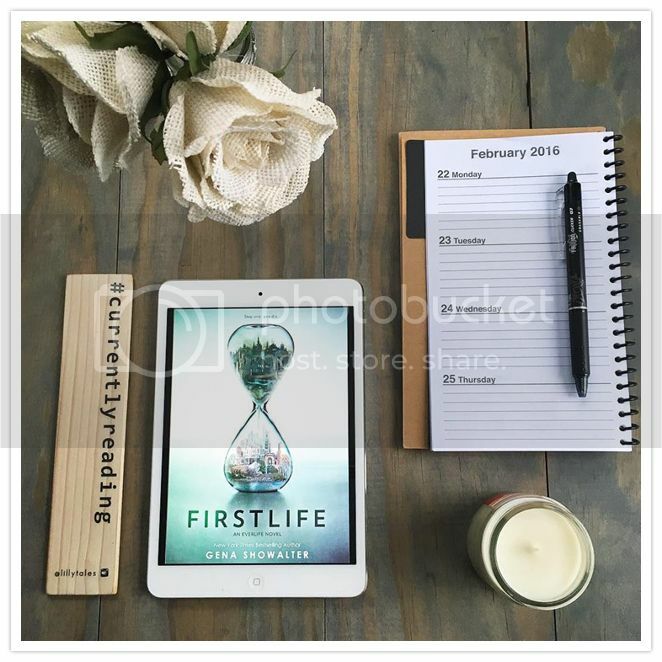 Overall; despite a few issues I had with the book, I still found Firstlife to be an interesting read. 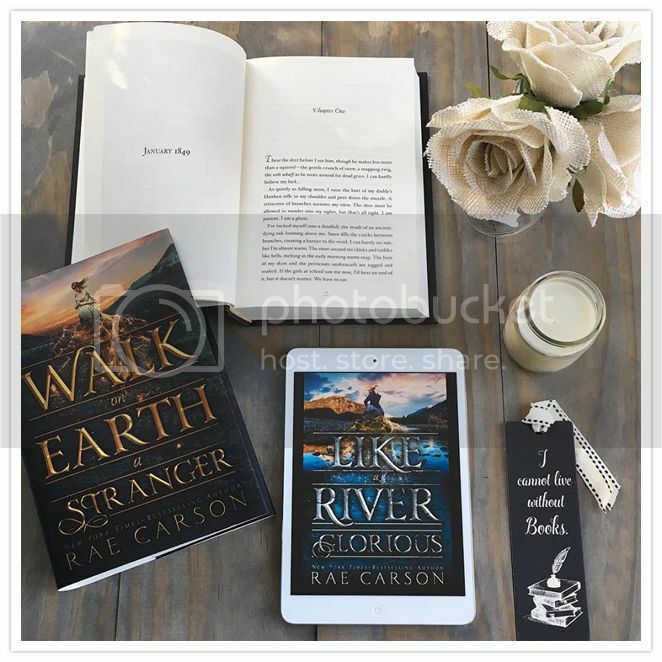 I'll definitely be picking up Lifeblood, the second book in the Everlife series, to find out what's going to happen next for Tenley and crew. I can't wait for this book to be released so I can get back into this world!! I'm dying to know how this series is going to end for these characters. 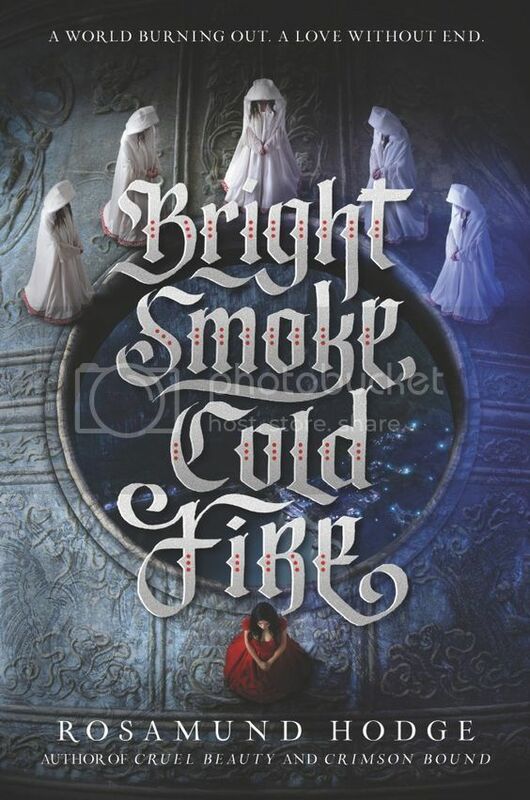 Also, this is another gorgeous cover for the series, and I can't wait to add it to my shelf!! 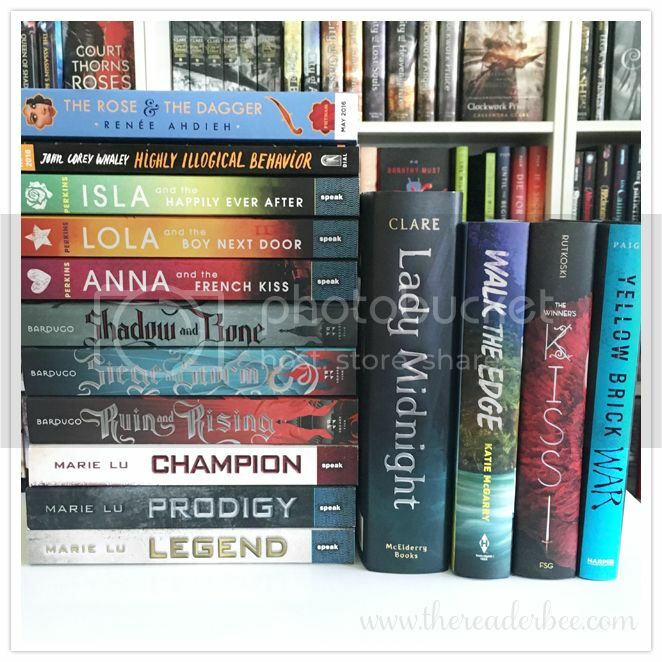 My March 2016 TBR & Most Anticipated Releases! !